0.018″ thick nickel silver etch. 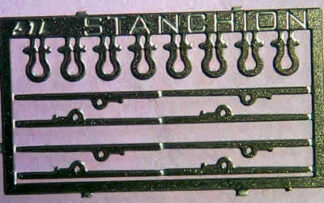 Suitable detailing kit for a wide range of single, twin and bogie bolster wagons. 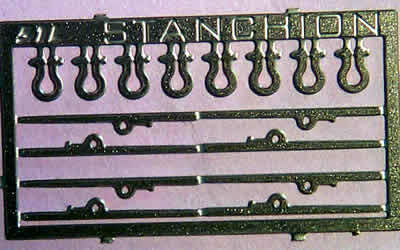 Includes shackles for bogie stock.